Having an external hard drive is one of the finest options for increasing your storage space. They provide a simple, hassle-free, cost-effective solution for data backup when your primary storage device fails. The external hard drive, also known as the portable hard drive, is very popular with those who are mobile frequently and need a portable storage device to keep their data safe. It not only allows you to store a large amount of data but also to take it anywhere. This facilitates portability and flexibility for any workplace. Now you can easily transfer files from your desktop to the external hard drive with data transfer rates of up to 10 Gbps. Storage capacities are available up to 16 TB and come with added security such as password protection and hardware encryption for important and private files. 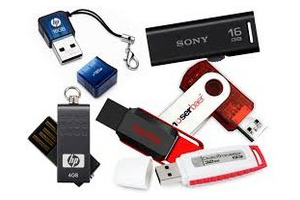 Order your external hard drive, USB flash drive, or DVD-RW from OfficeRock.com today and keep all of your data secure and readily available.